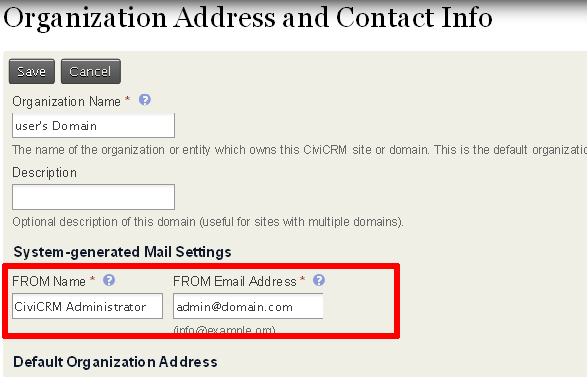 When you first sign in to CiviCRM, you will be prompted to configure the sender name and email address for outgoing email. Enter the name of your organization, together with a valid “From” name and email address. This information will appear in the “From:” field of automatically generated emails.